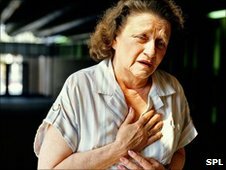 Heart attacks are the #1 killer of both men and women. According to the American Heart Association, one of every six deaths in the United States is a result of a heart attack. The symptoms of women having a heart attack can be different than the symptoms men experience. The classic tightening in the chest, shortness of breath, and a feeling of discomfort in arms, back, jaw or stomach can be what men typically experience when having a heart attack. Women may have these symptoms as well, but oftentimes their symptoms may include one or several of the following symptoms: extreme fatigue, dizziness, sweating, lightheadedness, shortness of breath, upper back pressure, and a feeling of indigestion or heartburn. A study published in the Journal of the American Medical Association reported 42% of women do not experience chest pressure or pain when having a heart attack. Of the common symptoms women experience during a heart attack, 58% reported shortness of breath, 55% reported weakness, 43% unusual fatigue, 39% broke into a cold sweat, and 39% experienced dizziness according to a study published in the medical journal, Circulation. Symptoms may last a few minutes or may go away and come back. Every year, over 1 million Americans suffer a heart attack - 460,000 of them being fatal. If you experience any of these symptoms, don’t delay - call 911. Every minute counts, and medical personnel can begin treatment in route to the hospital. Because women’s heart attack symptoms can be different than men’s symptoms, it is sometimes more difficult diagnosing women having heart attacks. When at the hospital, ask to be tested to determine if you are experiencing a heart attack. Great job with a very thorough and informative list. Will definitely help many woman who were previously unaware of the signs.